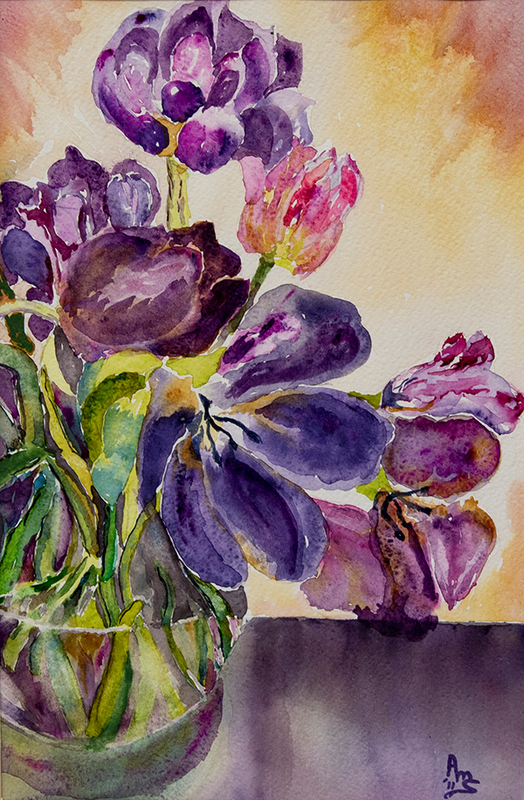 Annie Murphy Springer's paintings are available at the Artisans' Co-op. 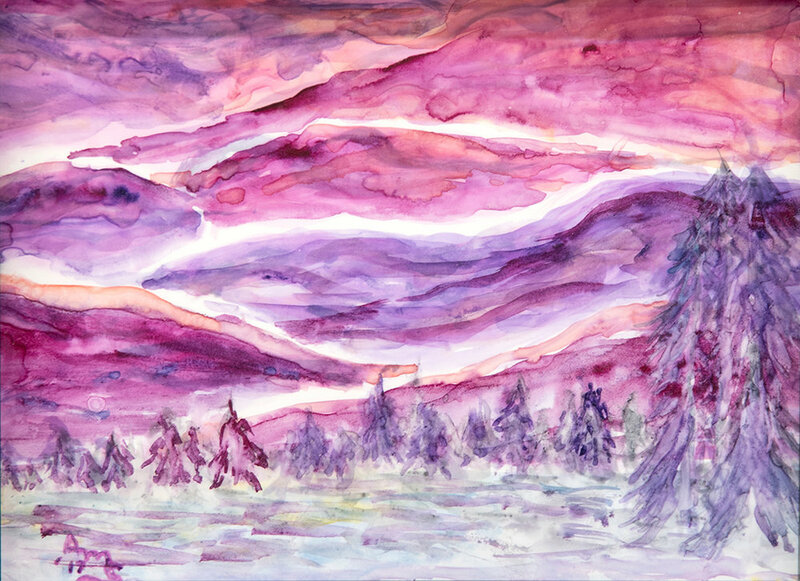 "Expose yourself to art" and join me in the wonders of watercolor"
I specializes in local landscapes that express exuberance and whimsy and iI am known for my affection of purples, maroons and mauves. My new and interesting paintings at the Co-op...MANY ON YUPO....both opaque and translucent ..some VERY whimsical!. YUPO is a very exciting surface to paint on, and results in brilliant colors and unusual effects on its surface. It makes watercolors SING !